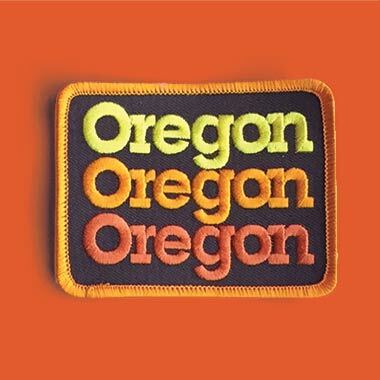 We sold so many of the “Oregon Stack” torso covers, and thought, “Hell, We should make it into a patch!” And then we did. What else is there to tell you? That’s just how it went. You need one. 03. 3-3/8” wide and 2-1/2” tall. 04. Like an Oregon sunset. Can you feel it? 05. Lubalin Graph Extra Bold! Thank you, Mr. Lubalin! 06. Manufactured by our Portland buddies at Brewery Outfitters. 07. Great for backpack, jean jacket, fatigues, rucksack, feed-n-seed cap and many other spirited uses.